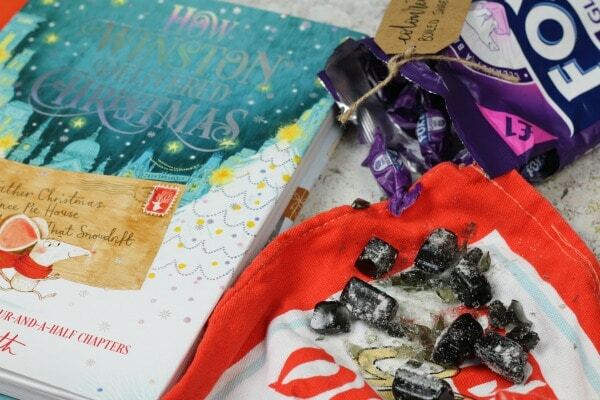 Our copy of How Winston Delivered Christmas arrived beautifully packaged – seriously wouldn’t this make a great alternative to a Christmas Eve Box with a copy for your kids turning up on 1st December ready to be opened? 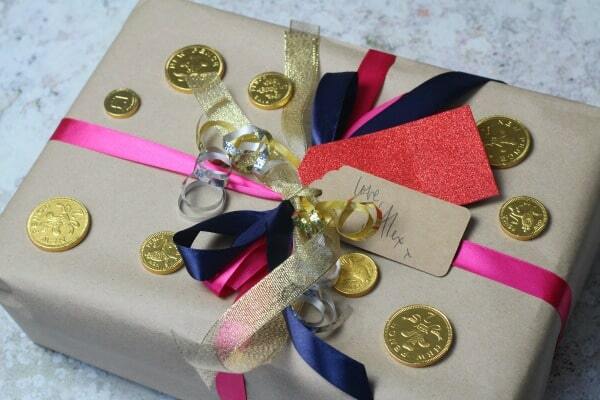 It’s a fantastic idea to help make the whole of December that bit more magical. Our box contained everything we’d need to make the stained glass window biscuits from December 11th in the book but you could add whatever you needed for the first day. Perhaps you could even ensure that any materials you need for activities magically appear by the kids advent calendars each morning? It doesn’t need to be a big deal or a huge expense – activities like making a snowflake decoration could just mean leaving out some white paper and your kids scissors ready for them to use. Of course you don’t need to do all the activities on the given day either, get your kids to pick their favourites and try a few out together over the weekends! The book itself is absolutely gorgeous and beautifully illustrated – I’m so excited about sharing this with my own children on 1st December! My daughter has already been making loads of Christmas crafts (she’s five and already has a thing about Pinterest) and my son loves chapter books for a read together before bedtime. Each chapter is just the right length for a read before bed as you cuddle up together. Winston the mouse has to deliver Oliver’s letter to Father Christmas and the book shares the story across 24 (and a half) days each with a festive activity for you to do. I love that this is something you could do year after year, a real way to create some special memories. 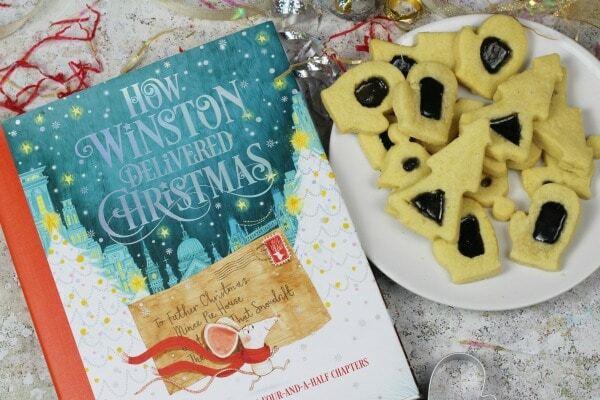 How Winston Delivered Christmas is available to buy now and you can get your copy here. Make sure you wash your hands before you start. Ask your grown-up to preheat the oven to 160c/Gas Mark 3. Line a tray with baking paper. This is so the biscuits don’t stick. 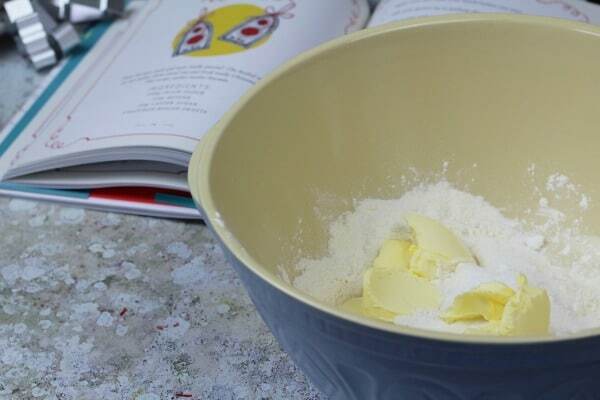 Put the flour, butter and sugar in a mixing bowl and then rub all the ingredients together using your hands. When the mixture starts holding together shape it into a ball. You’ve just made your own biscuit dough. Cover the bowl and put it in the fridge for twenty minutes. Roll the dough out with a rolling pin until it is roughly as thick as your middle finger and use festive cookie cutters to cut out any shapes you like! Once you have cut out all your shapes put them onto the baking tray. Cut a hole in the middle of each biscuit with a small cutter. Ask your grown up to help you with this! Now is the really fun part! Put your boiled sweets into a clean tea towel – one colour per towel – then bash them lightly with a rolling pin, until they are all broken up. 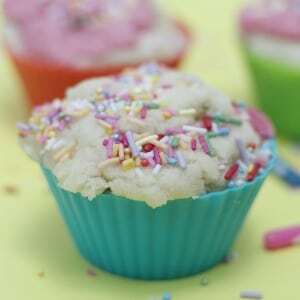 Sprinkle a teaspoon of crushed sweet into the whole in each biscuit. Put them in the oven for ten to fifteen minutes. Once they are cooked let them cool and then enjoy! They will look really great and taste even better! Like this activity? Don’t forget to bookmark this page or pin an image for later. 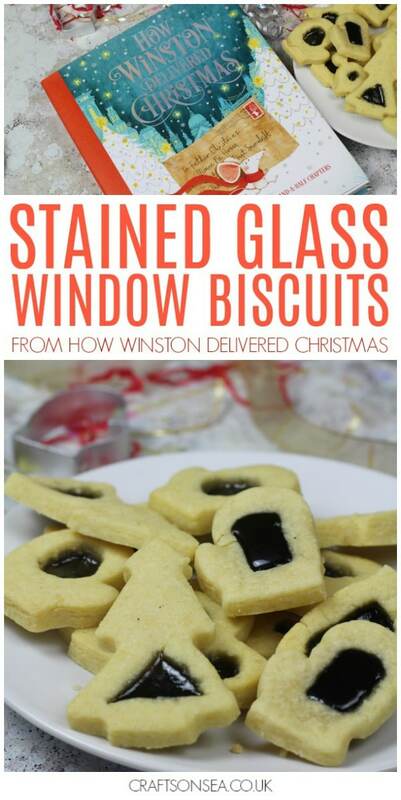 Want to get your hands on How Winston Delivered Christmas? 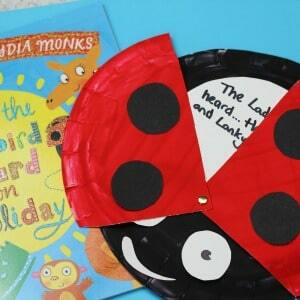 Grab it on Amazon now and get ready to share weeks of festive fun with your kids. This birthday cake scented playdough for Sue Hendra’s book Cake smells fantastic! 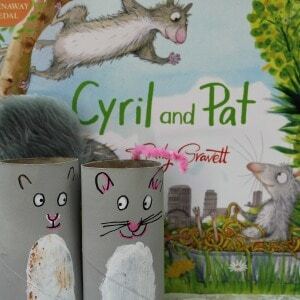 My kids adore Cyril and Pat – a gorgeous story about friendship and we made this Cyril and Pat craft to go alongside it. August is early! I like using seasonal books too, but most of the ones I’ve found are picture books, but these look like a step up.